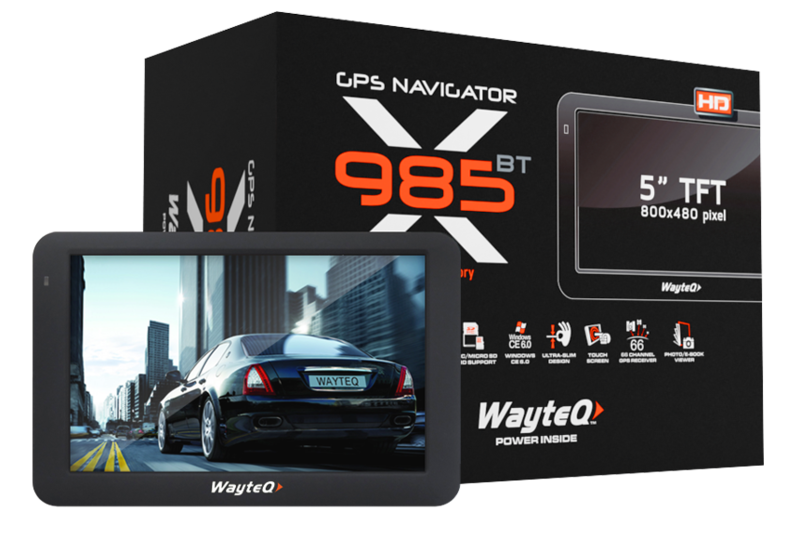 The brand new WayteQ x985BT navigation has arrived with clear design, and extended uptime. The new CPU is MStar MSB2531A Daul Core, Cortex-A7 with 800 MHz speed provides high performance. 256MB RAM and 8GB storage available, and the storage space can be expanded to microSD card up to 32GB. Fast and accurate navigation and location tracking by the MStar MSR2112 GPS receiver, with 66 channels chip. The main CPU is integrated with a 250MHz coprocessor for calculating GPS datas and a 2D/3D accelerator which is responsible for 3D appearance of the new generation navigation softwares (like Sygic). Wireless connection can be made with the mobile phone, so the device can be used as a handsfree speaker. If the telephone is compatible the contacts' information can be transferred to the navigation device. So partner can be identified easily when accepting calls, or can be selected easily when starting a call. This function gives a comfortable use with Bluetooth connection. 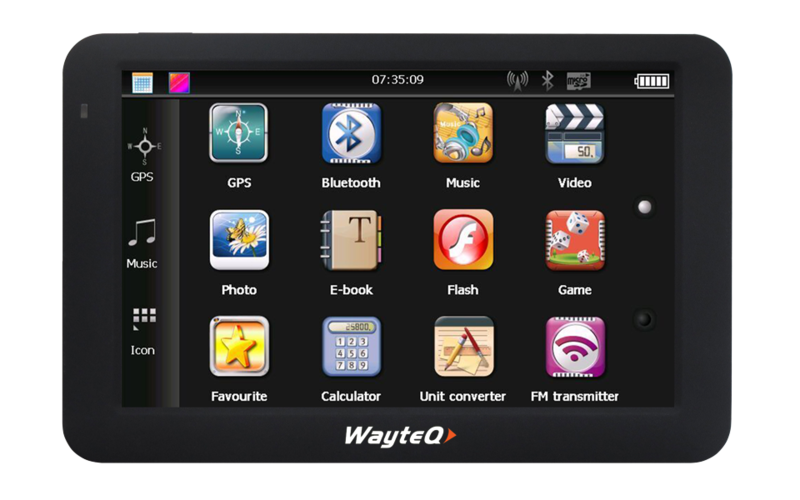 You can further increase the volume of the navigation, movies or music through a given radio frequency. Just tune the car audio to the right frequency to enjoy the sound of your favorite music, video clip or even the narration of the navigation software through the car’s speakers. The x985BT is able to play music, movies, flash videos, show images, open text documents and has installed games. The user interface can be used on 21 different languages. Other useful applications like calculator and unit converter also available.